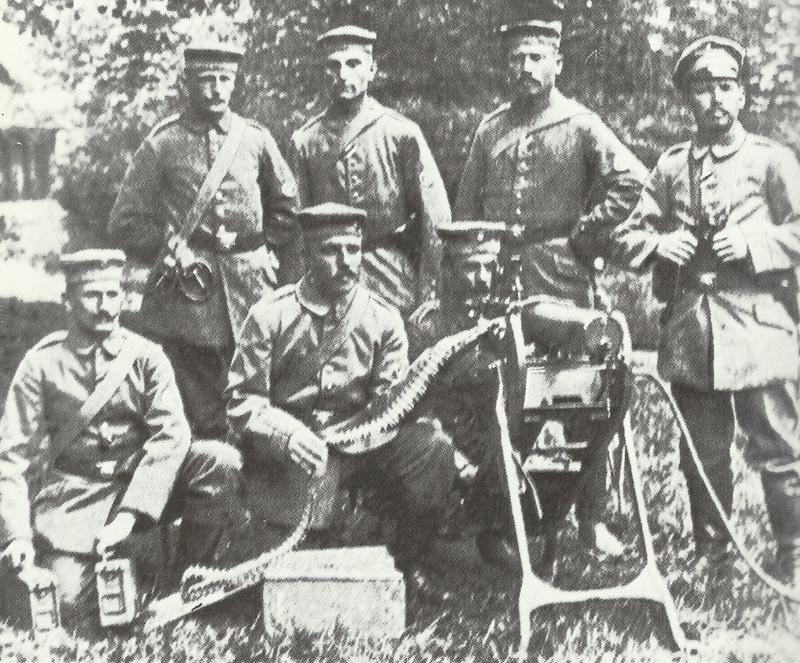 A German machine-gun ‘Scharfschützen Kompanie’ in 1915. The gun has a telescopic sight. Alsace: Despite German use of flamethrowers, French storm fortified summit of Hart­mannsweilerkopf and exploit 160 yards along 2 ridges to the east. General Alexeiev replaces Ruzki as C-in-C Northwest Front. Germany: 6 French aircraft bomb Metz Zeppelin sheds and rail station. Dardanelles: Commander Samson’s No 3 Squadron RNAS (from Dunkirk) begins landing at Tenedos with 18 aircraft and 118 men, vineyard cleared to make airfield, first flight on March 28. Holland: Dutch troops ordered to German frontier, invasion seems imminent; Churchill and Kitchener look at contingency plans until March 28 but false alarm. Germany: Local authorities authorized to ban alcohol sale; production cut on March 31 of 40% malt in breweries.